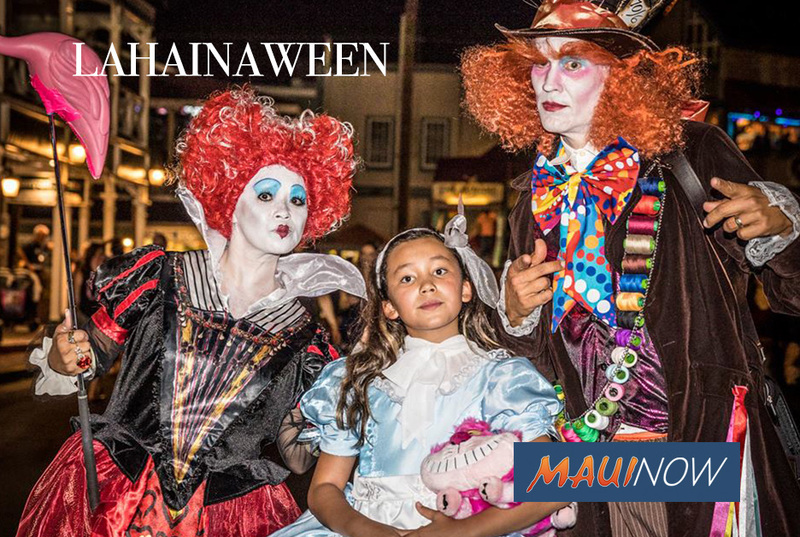 “This year’s highlights include the 40th Annual Keiki Halloween Costume Parade sponsored by the Rotary Clubs of Lahaina starting at 4 p.m. Keiki are invited to come in costume and parade down Front Street to Campbell Park led by the Lahainaluna High School Marching Band. The parade organizes and begins at Front and Papalaua Streets near the Outlets of Maui. Campbell Park will open at noon selling the official Halloween in Lahaina T-shirt. Learn more in their latest article on the upcoming Halloween fun here.